STEALTH Gaming Headset Black Friday deals worth looking out for! 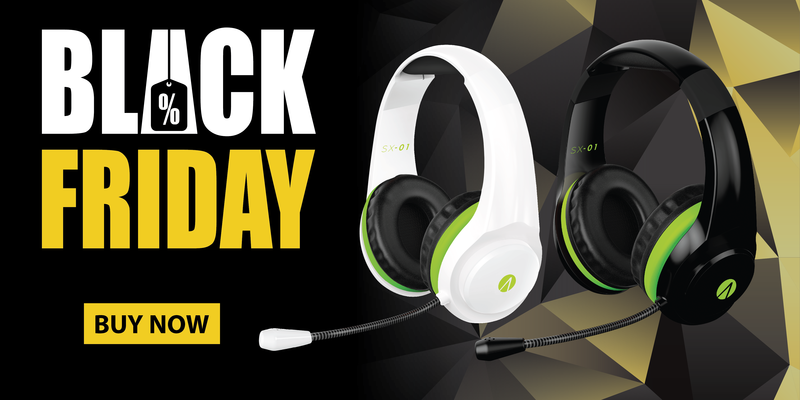 Black Friday Bargains for STEALTH Gaming Headsets! Black Friday is upon us and whether you are looking to score a bargain present for Christmas or treat yourself for less, we want to make it easier for you to find the best deals on STEALTH gaming accessories! In this article, we will be running through where you can find the best deals from the STEALTH brand, whether you are looking for gaming headsets for XBOX ONE, PlayStation 4 or PC, there is a STEALTH headset for any platform on offer in this coming Black Friday. Argos currently have an offer on one of the top selling gaming headsets for XBOX ONE for STEALTH which is the SX-01 stereo gaming headset, this can be found at a huge saving of 40% OFF normal retail price. This saving can also be found on the newly released white version of the SX-01 stereo gaming headset, which was launched into argos stores on the 1st November 2018 to appeal to the users of the XBOX ONE S console with its white exterior, green XBOX influenced trim and soft black leatherette ear cushions and padded foam headband. The SX-01 model is a lightweight, stylish gaming headset with powerful audio, a flexible mic. boom and inline volume control – this is a great headset for gamers of any level and an absolute steal at the current price! 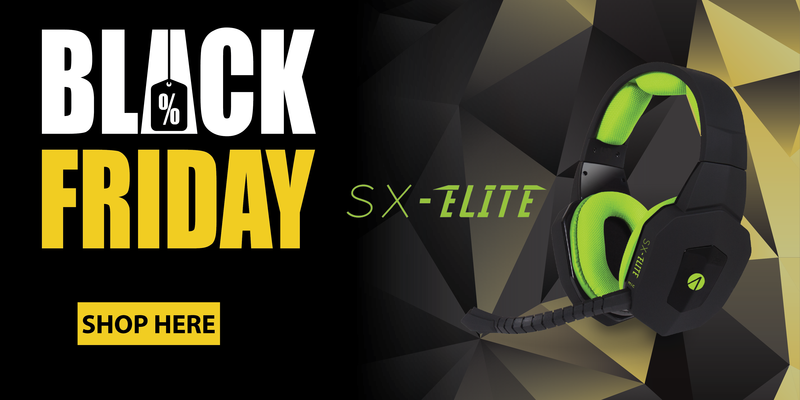 If you are looking for a more premium XBOX ONE gaming headset, the SX-Elite stereo gaming headset is perfect and now available with a saving of up to 45% OFF normal retail price. This STEALTH XBOX ONE headset boasts the traditional black and green design with the ultimate comfort in mind; with soft padded foam headband and ear cushions covered in a breathable mesh material for extended gaming sessions. Within each ear cushion, sit powerful 40mm speaker drivers that provide truly immersive sound quality that will take your gaming to the next level. Fully versatile, this STEALTH headset features a removable mic. which allows you to use as a general headset for listening to music or watching films, with an inline control for easy access to change the volume for your preference. For gamers of other platforms , the XP-Hornet Multi-format gaming headset currently has up to 45% OFF normal retail price, that is a saving of up to £15! The XP-Hornet is designed with true power in mind; clear audio and deep bass allows you to immerse yourself into your gaming whatever your platform. Compatible with XBOX ONE, PlayStation 4, PC, Nintendo Switch and Mobile – This STEALTH Headset is a true bargain to pick up during the Black Friday deals and with 4.2/5* average rating on argos, it is sure to be a great Christmas present for those hard to buy for gamers. Finally, for the gamers ready for war, you can now pick up the XP-Warrior Desert Camo gaming headset with a saving of £10 OFF! Perfect for the biggest war titles that have just released such as Call Of Duty Black Ops 4 or Battlefield V, you can be #CombatReady for less and lead your squad to victory… Find out more about the XP-Warrior here. 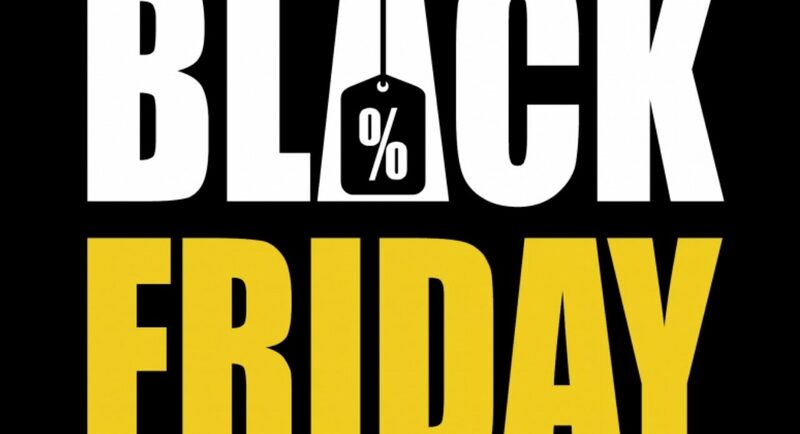 Did you find any STEALTH deals at argos this Black Friday? Share your bargains on either of our social channels; Facebook, Twitter, Instagram and let us know what you think of your new STEALTH gaming headset! *These deals are subject to change and depend on stock availability – SHOP NOW to avoid disappointment!